Recommended to: Readers who enjoy thriller and mystery books revolving around families, and slow burn reads. Compulsively readable. I know that little phrase gets thrown around a lot in the review world, but I've actually found it to be a true statement. Often I'll pick up a book, not really expecting anything specific from it, and find myself so immersed that I can't bear to stop reading. I confess, The Quiet Child fit that mark perfectly. I started reading, and suddenly I was a part of the McCray's world. Part of their crumbling, patched together, little family. I read this ravenously, and before I knew it I was done. So, as I said above, compulsively readable. That's the perfect description for this book. What I loved, more than anything, was the small town feel of this thriller. The McCray's were a part of the quilt of their little town, albeit a part that many ignored. It made the McCray brothers, and their eventual abduction, feel all the more intimate. It was almost claustrophobic, being caught up in all the speculation and gossip that was thrown around throughout this story. It made it even harder to figure out exactly what was going on, and kept me guessing well past when I thought I knew where things were going. I also really enjoyed the bond between brothers in this story. Danny and Sean were so close, and it really fed into the drama surrounding their disappearance. Which is actually also one of the reasons why book started to go off the rails for me after a while. Any time a young child in peril is involved in a book, and adults start acting poorly, I get angry. That's all I can say without spoilers, but trust me when I say that I wasn't happy with the parents here. In fact, the last third of the book really threw me off. I wanted to love it, since everything leading up to that had been so amazing, but I just couldn't get my footing. It was like everything that had been so mysterious, and so dangerous, was suddenly a big crush of last minute additions and wrap ups. My only solace was the karma that came to some of the characters, although I do believe that many of them deserved much worse. All in all, this was a mainly solid read though. I'm not generally one to read a lot of thrillers, so it's nice to find one every now and then that really pulls me in. 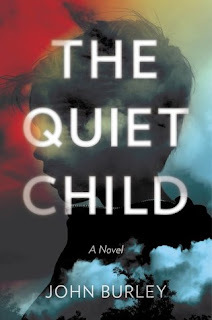 For making me care about these little boys, and really root for their survival, The Quiet Child gets a three-star rating from me. If only the ending had kept that feeling going, it would have been much higher.